This is part 2 of my little series about a Smash Ultimate Tournament, which I organized on March 2nd. In Part 1 I was writing about my vision for the tournament, and the rules it should have. After I defined all the rules the question, how to determine the winners from these, remained. I've decided pretty fast that I don't just want a single winner, this is a causal tournament after all, and everyone should be able to take home some kind of prize. So I thought that everyone should be able to take home a little trophy. I immediately came up with Nintendo's own Amiibos. I think those are quite the nice collectibles. But I can't buy an Amiibo vor every player, they're expensive! What are you doing? Are you ordering Amiibos? What is this? What kind of can is this? 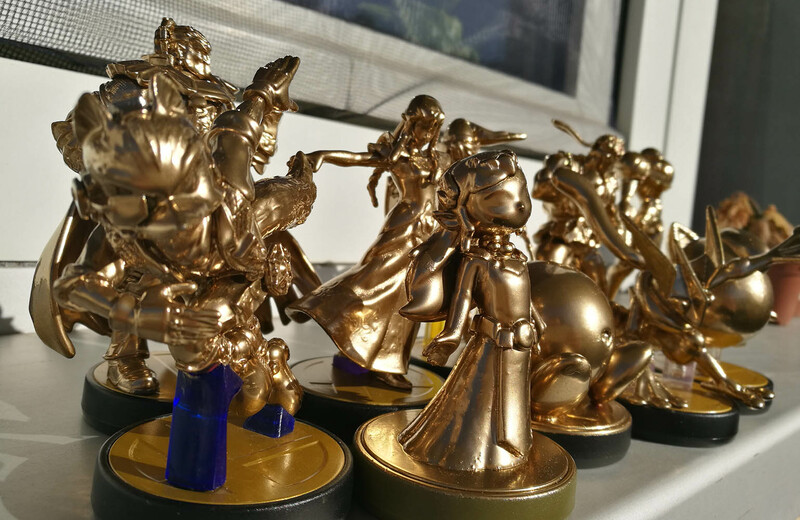 Yes, I bought an Amiibo for each and every player and painted them all in gold. What? Those are tournament trophies, after all! They have to look like something! How exactly I gilded all of them I will tell you in the next post. With the trophies, I made sure every player took something out of the tournament, besides all the fun and stuff. Additionally, I wanted to include some prize earning, too. The players should at least try to give their best. Of course, for that I searched for something simpler and cheaper. I came up with the idea of integrating some kind of achievement system. Players could earn achievements, depending on how they acted during the tournament, for which they got small prices. I've answered the question of what this might be with either buttons, or some kind of key pendants. I decided in favor of the key pendants, because not everyone likes buttons, which I knew. Everyone definitely has a set of keys, though. 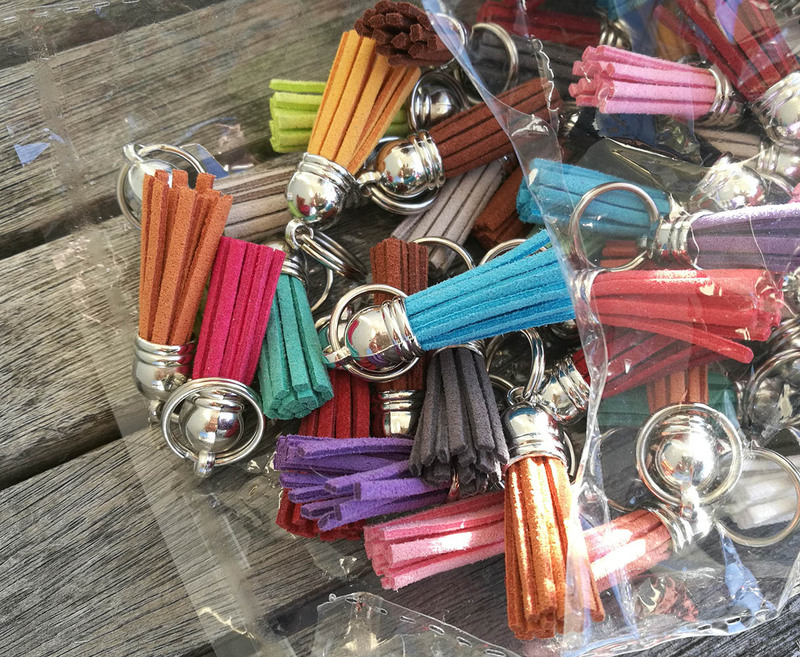 So, for each achievement earned, the players were allowed to choose one of these leather pendants (like in the image above). Score Collector - Who score the most kills? The Champion - Who won the most matches? Suicidal - Who committed suicide the most? Perfect Parasite - Who stole the most kills? Creeper - Who did one had to pay the most attention to? Mr. Backstab Mc Obvious Traitor - Who especially targeted you the whole time? Power Poser - Who posed or talked big the most, or generally was the biggest showoff? Counter King - Whose counter moves succeeded the most? Counter Clown - Whose counter moves failed the most? Not so Sharp Shooter - Who always avoided direct conflicts to cowardly attack with projectiles from afar? Pest Control - Who, no matter how hard you tried, just didn't die? Thunder Thief - Who won the most matches, where the victory was not deserved? What? - Do you even? MVP - Who did something surprising, amazing or totally awesome? Swagger - Who stayed calm, cool and even respectful the whole time? GG - Who lost every time, but still had the most fun? Inconspicuous - Who stood out the least? I don't know, what I'm doing! - Who didn't learn how the game works until the end? The what now! - Who talked the most nonsense or stuff nobody understood? Dankest - Who quoted the most memes? Baby Rage - Who did complain the most? Tryhard - Who tried the whole time to move into the spotlight? F(r)iends - Who got on your nerves the most? Who tilted you the most? Gimme a break - Who asked for a break first? Ultrasonic - Who was the loudest? Notoriou Knowitall - Who was the greatest smartass? Not PG-13 - Who had the harshest language?? Right off Schedule - Who did arrive late for the tournament? Unvoted - Who was selected the least during the survey? Who? - Which of your fellow player's first name did you forget already? Defining the rules, adding the rulesets with the desired stages into the game, gilding the Amiibos, coming up with the achievements and programming the survey app, all of this kept me busy on the side for nearly the entire January and February. I've been to lazy to actually track the effort and money this tournament took from me, but I think it took about 32 working hours and cost about 200€. Especially the Ganondorf Amiibo was pretty expensive. 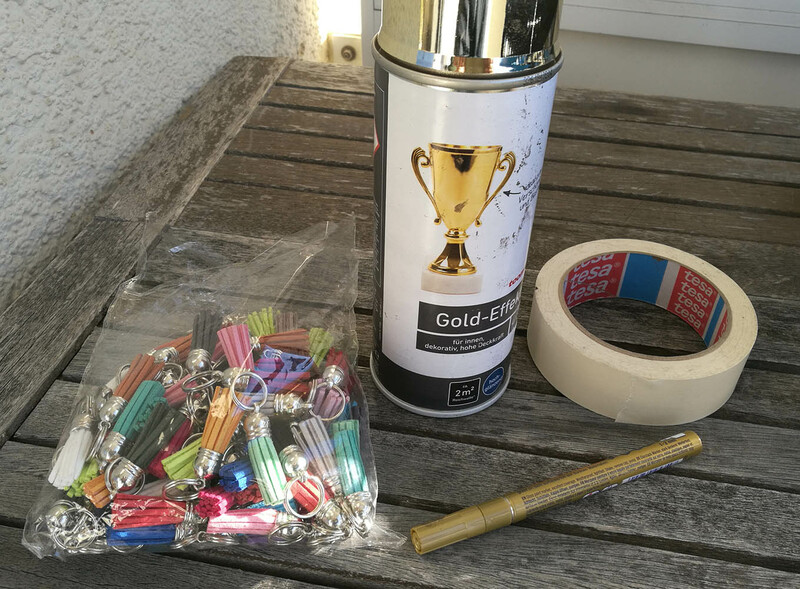 Next week I'll tell you, how I turned totally normal Amiibos to the golden Trophies of winners, and what went wrong while doing that. Thanks for reading, see you then!